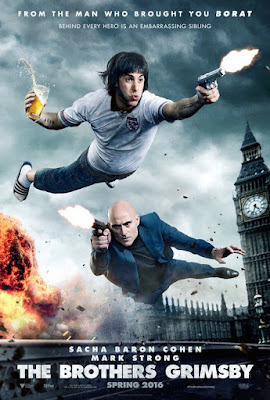 Nobby (Sacha Baron Cohen), a sweet but dimwitted English football hooligan, reunites with his long-lost brother Sebastian (Mark Strong), a deadly MI6 agent, to prevent a massive global terror attack and prove that behind every great spy is an embarrassing sibling. Nobby has everything a man from Grimsby could want, including 11 children and the most gorgeous girlfriend in the northeast of England (Rebel Wilson). There's only one thing missing: his little brother, Sebastian, who Nobby has spent 28 years searching for after they were separated as kids.